Ottawa Condos Up, Residential Down - on continued lighter volume this January. Members of the Ottawa Real Estate Board sold 602 residential properties in January through the Board's Multiple Listing Service® system, compared with 682 in January 2012, a decrease of 11.7 per cent. "The Ottawa resale market, which started to flatten out in November and December - potentially as a result of the governments' aim to "cool down" the market - maintained its steadiness into January," says Tim Lee, President of the Ottawa Real Estate Board. "January 2013 isn't too far off from the numbers we've seen in recent years, and although the units sold are a tad lower, Ottawa remains a healthy market." An economic summary of expansion in Ottawa by Shore-Tanner and Associates indicated that the rates of growth in residents over the age of 55, and particularly in the formation of single and two-person households, will continue to rise in the coming years. Consequently, these trends indicate that there will soon be a strong demand for small apartments, condominiums, and retirement homes. "Within some areas of Ottawa, we are already starting to see condo sales on the rise," says Lee. January's sales included 136 in the condominium property class, and 466 in the residential property class. The condominium property class includes any property, regardless of style (i.e. detached, semi-detached, apartment, stacked etc. ), which is registered as a condominium, as well as properties which are co-operatives, life leases and timeshares. The residential property class includes all other residential properties. The average sale price of residential properties, including condominiums, sold in January in the Ottawa area was $342,458, a slight decrease of 1.8 per cent over January 2012. The average sale price for a condominium-class property was $268,604, an increase of 6.1 per cent over January 2012. 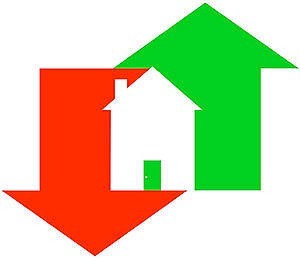 The average sale price of a residential-class property was $364,011 a decrease of 2.5 per cent over January 2012. Lighter overall volume and the small number of condo sales calls for caution when making use of the above figures. While the monthly information can be helpful in establishing trends over time it should not be used as an indicator that specific areas or properties have increased or decreased in value. The average sale price is calculated based on the total dollar volume of all properties sold. Should you have questions about the January statistics, home values in your specific Ottawa neighbourhood, or would like more information about where you’d like to live, please contact me, I’d love to hear from you.